They say that one of the best things in life is having someone worth waiting for. After 15 years of waiting, Ariane and Mary Joy finally tied the knot and had their dream wedding at Villa Milagros. It’s so great to witness another lovely couple sharing pure love and spreading joy on their special day. Of course, having to wait for the big day means making the most out of it. 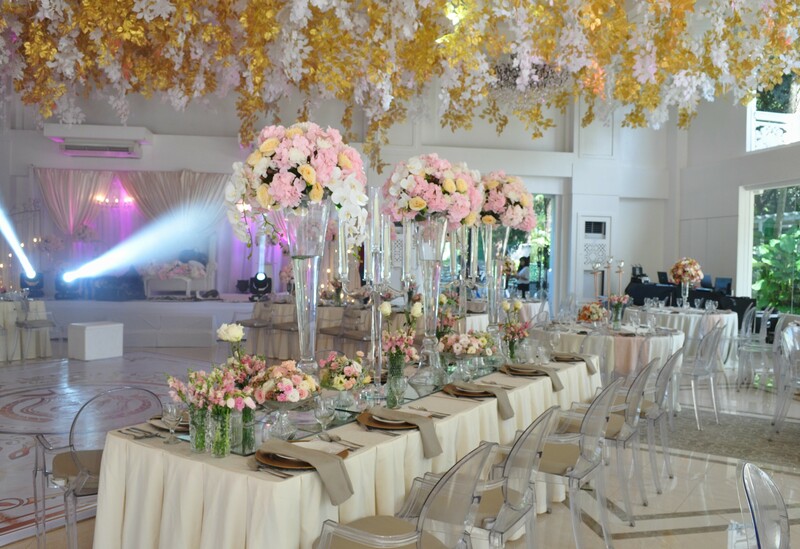 From the attire to the venue itself, you can tell that our couple really put a lot of effort and time during the preparation. Their wedding is really extraordinary and stunning! Their color motif is a mix of metallics and neutral colors that gives you the feeling of being invited to a royal wedding. 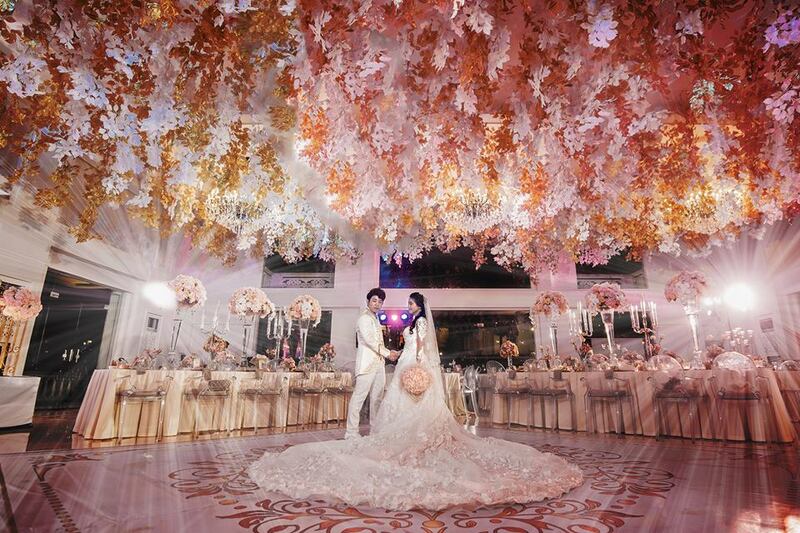 Rich accents of gold and white flowers hung from the North Wing’s ceiling. 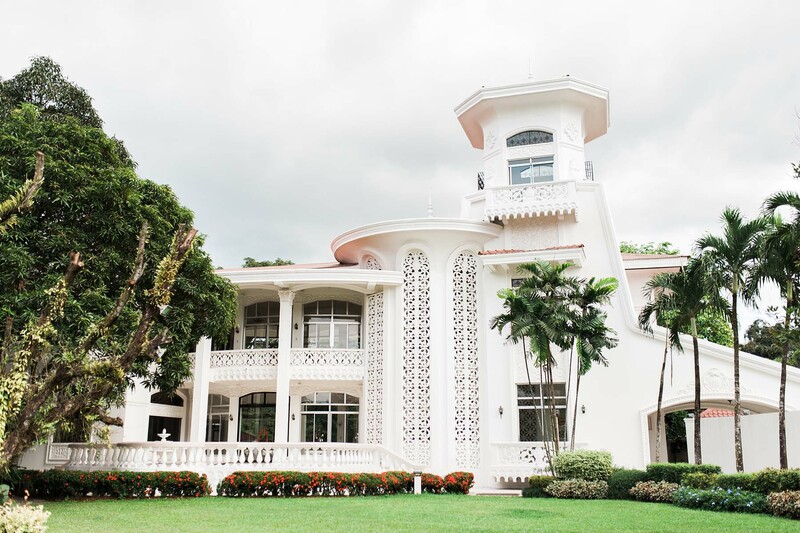 The lavish and elegant decor is a perfect fit to the venue, which is a historical estate. The lights on the high ceiling and chandeliers also showcase the decor majestically. 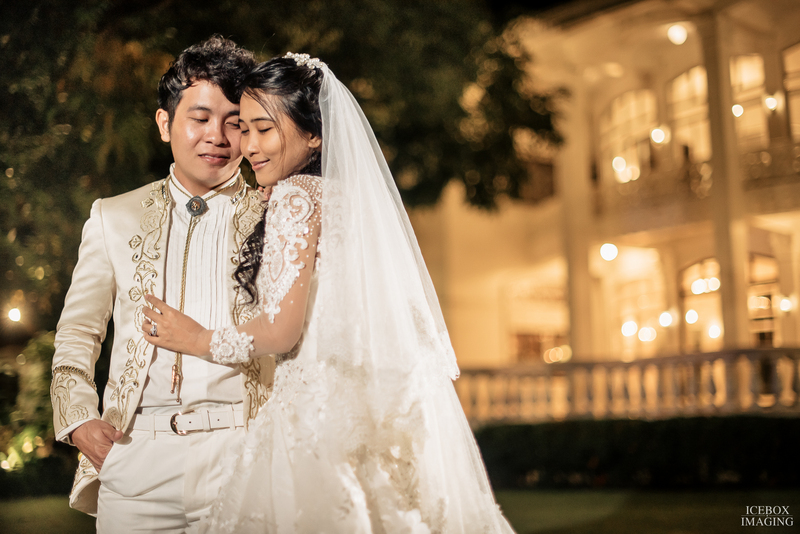 To pull off that royal and splendid look, our handsome groom wore a cream and white prince-like suit with a touch of gold embroidery while our beautiful bride had a long white gorgeous gown with sheer lacy sleeves. 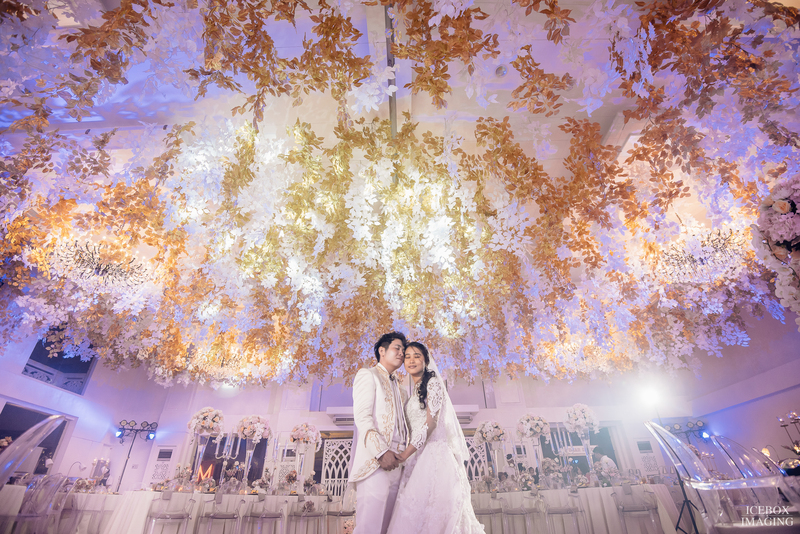 But what really surprised us is the simplicity of the couple despite their majestic theme. 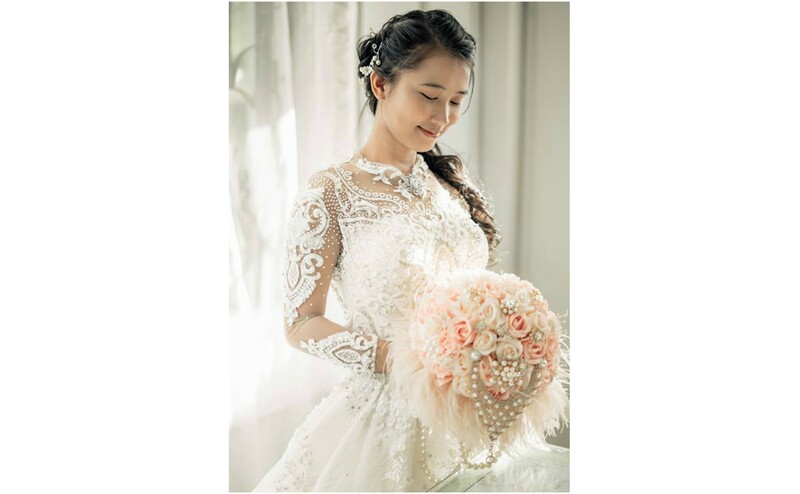 And also, can you imagine a bride without wearing a makeup on her wedding day? Not even a “No Makeup” makeup look! 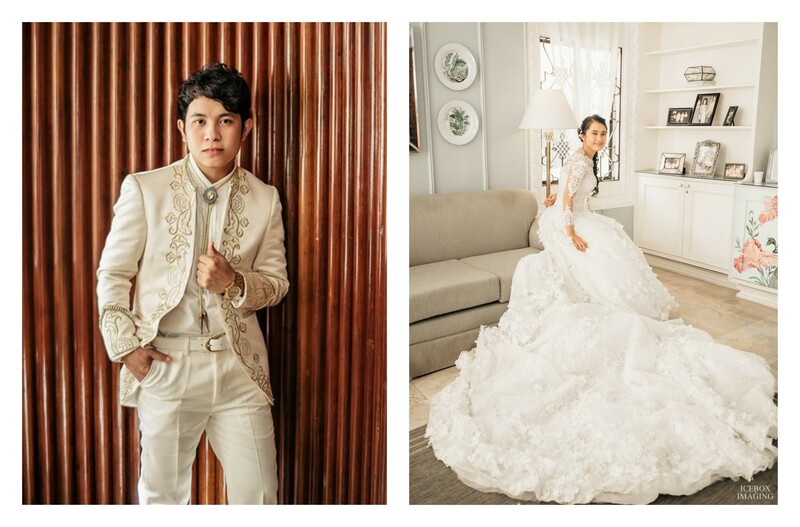 Being apart of the extravagant trend nowadays, our lovely couple chose to stick with the simple wedding tradition. Pure love and joy truly filled the whole North Wing. To Ariane and Mary Joy, congratulations on your dream wedding!